4 UCL in 5 years and 3 in a row. Gareth Frank Bale professionally known as Gareth Bale is a Welsh professional footballer who plays as a left-winger for Spanish club Real Madrid and the Wales National Team. Bale is a left-footed player and has been praised for his tremendous pace, strike from distance and his crossing ability. At present, Bale is considered one of the fastest footballers in the world. Gareth Bale wears shirt number 11 for Real Madrid and Wales National Team. Bale started his professional career from Southampton in 2006. He moved to Tottenham in 2007. Real Madrid signed Bale in September 2013 for 100.8 million Euro, ahead of Cristiano Ronaldo, signed by Real Madrid for a world record transfer fee of 94 million Euro in 2009. Bale made his international debut for Wales senior team in 2006 as the youngest player of that time. At present, Bale is the highest scorer of all time for Wales scoring 30 international goals in 70 caps. Bale has been named Welsh Footballer of the year for a record six times. 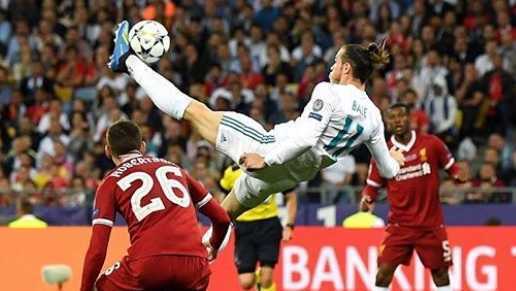 Real Madrid main player Gareth Bale has shown dissatisfaction regarding his overhead goal against Liverpool in Champions League Final, not being included in the goal of the season list. A similar goal, Cristiano Ronaldo scored against Juventus in Semi-Final was included. Also, Gareth Bale praises Ronaldo for his contribution to Real Madrid. After Ronaldo's departure from the club, Bale spoke that Real Madrid is now more of a team game rather than a single player centered as before. Bale has already scored 4 goals in 4 matches for Real Madrid's new season 2018-19 so far. Gareth Bale was born to a father Frank and a mother Debbie Bale on July 16, 1989, in Cardiff, Wales, United Kingdom. He is the nephew of Chris Pike, former Cardiff City player. Bale attended Eglwys Newydd Primary School at Whitchurch. Bale used to play for Cardiff Civil Service Football Club during his early childhood. Bale was a die heart fan of fellow Welshman and Manchester United player Ryan Giggs. Bale attended Whitchurch High School in Cardiff. Bale trained at Southampton's satellite academy in Bath. At the age of 16, Bale helped his school's under-18 team to win the Cardiff & Vale Senior Cup. At the age of 16 years and 275 days, Bale became the second youngest player after Theo Walcott to play for Southampton in 2006. Bale established himself as a freekick specialist and won the Carwyn James Award for the BBC Wales Young Sports Personality of the Year in December 2006. Bale was also named Football League Young Player of the Year in 2007. Bale made 45 appearances for Southampton and scored five goals. Tottenham Hotspur signed Gareth Bale on a four-year deal on May 25, 2007, for a transfer fee of 7 million pounds. Bale made his competitive debut for Tottenham against Manchester United on August 26 and scored his debut goal in his second appearance for the club against Fulham. Bale got injured against Birmingham City on December 2, 2007, and missed the rest of the entire season. Bale returned to active duty towards the end of 2008-09 season. Bale again ruled out for two months due to injury in June 2009 and returned on September 26. Bale started flourishing his performances for Tottenham and was named Barclays Player of the Month for April 2010. Bale helped Spurs to reach the UCL qualification place and was rewarded a new four-year contract with Spurs on May 7, 2010. Bale scored a head-high volley against Stoke City, which was awarded Goal of the Month for August 2010 by the BBC. Bale scored his first Champions League goal Against Dutch champions FC Twente on September 29. Bale scored his first senior career hat trick against Inter Milan in UCL on October 20. Bale scored his first Premier League hat-trick against Aston Villa. After Cristiano Ronaldo's departure from Real Madrid in mid-2018, Gareth Bale has been given main duty to win games for the team. Bale was signed by Real Madrid on September 1, 2013, in an undisclosed fee. Documents related to the transfer were leaked by Football Leaks in January 2016, which confirmed a world record transfer fee of 100.8 million Euro. Bale made his Real Madrid debut against Villarreal and scored his first goal for the club in his debut game. Bale scored his first hat-trick for Real Madrid against Real Valladolid on November 30, 2013. Bale scored his first El Classico goal and a winning goal for Real Madrid against rivals Barcelona in the 2014 Copa del Rey Final on 16 April. Bale outsprinted Barca defender Marc Bartra almost from the halfway line and converted it into the best goal of his career. Bale scored a vital goal for Real Madrid, that gave Real Madrid a 2-1 lead against city rivals Atletico Madrid in the 110th minute in the 2014 Champions League Final. Real Madrid lifted their 10th UCL Title. The same season the BBC trio, Bale, Benzema, and Cristiano Ronaldo finished the season with combined 97 goals. Bale scored four goals in a single game against Rayo Vallecano on December 20, 2015. Bale became the highest scoring British player (43 goals) in La Liga history surpassing Gary Lineker on March 20, 2016. Bale proved himself vital when Real Madrid won their 11th UCL title 2015-16 after a win over city rival Atletico Madrid in a penalty shootout. Bale became injury prone at Real Madrid that kept him out of the play for many months. Bale damaged his ankle tendons and ruled him out for four months in November 2016. Bale won his third and Real Madrid's 12th UCL Title after defeating Seria A champion Juventus in the Final. Bale also became the first substitute to score two goals in a 2017-18 UCL Final, when Real Madrid won their 13th, third in a row UCL Title after defeating English club, Liverpool. Gareth Bale has a good start in his new 2018-19 campaign for Real Madrid. Bale was eligible to play for England as well through his grandmother. But Bale chose Wales. On May 27, 2006, Gareth Bale made his senior debut for Welsh International against Trinidad and Tobago at the age of 16 years and 314 days becoming the youngest player for Wales. Previously the Lewin Nyatanga held the record. Later, Harry Wilson claimed the record in November 2012. Bale became the youngest player on October 7, 2006, to score a goal for the Wales senior team. Bale scored a wonderful freekick against Slovakia in the Euro 2008 qualification. Bale led Wales to UEFA Euro 2016, major competitions since 1958 and became the first Welsh player to score in a major international tournament since Terry Medwin's goal in 1958. Bale led their first 2016 Euro campaign up to semi-final. They lost 2-0 to the eventual champions, Portugal. Bale became Wales' all-time top-scorer after scoring his first career hat trick for Wales against China in 2018 China Cup. Bale surpassed Ian Rush, who previously held the record with 28 goals for Wales. PFA Team of the Year 2006–07 Championship, 2010–11 Premier League, 2011–12 Premier League, 2012–13 Premier League. At present, Bale lives in Madrid. He has a beautiful fiancee Emma Rhys-Jones. Emma is his high school sweetheart. The love couples have two children and they are expecting their third child. their first child, Alba Violet was born in Cardiff on October 21, 2012, and Nava Valentina was born on March 22, 2016. Bale announced that they are engaged a day after his 27th birthday on July 17, 2016. Bale is completely teetotal, far from alcoholic beverages.Bale is a huge golf fan. He plays golf during his vacations or free time in his back garden, where he has installed a replica of the 17th hole - the Island Green - at TPC at Sawgrass. Real Madrid signed Bale on a world record transfer fee in that time for 100.8 million Euro. Bale surpassed Cristiano Ronaldo (94 million Euro, highest transfer fee in that time). 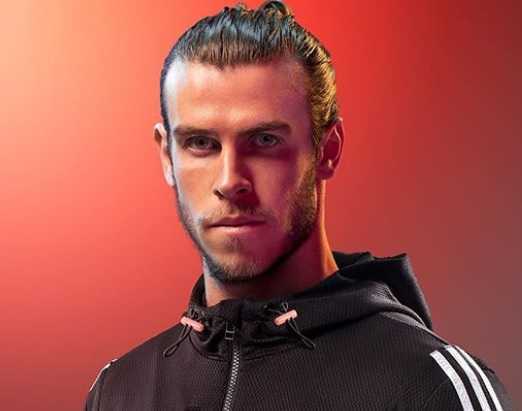 Today Bale endorsed several companies like Adidas, EA Sports, Lucozade, and BT Sport. Bale has an annual salary of $25 million plus $9 million from endorsements. At present, the net worth of Bale is estimated to be around $125 million. Football leaks leaked the transfer documents related to Gareth Bale, which confirmed Real Madrid bought Gareth Bale for a world record transfer fee of 100.8 million Euro. Bale became Wale's youngest player at that time to represent the nation. Bale is Wales' all-time top scorer for Wales National Team with 30 goals. Bale has been named Welsh Footballer of the Year a record six times. Bale scored a famous goal of his career against Barcelona in 2014 Copa del Rey Final, when he scored a brilliant goal outsprinting Barcelona Defender Marc Bartra from halfway line. Bale scored four goals in a single match against Rayo Vallecano.